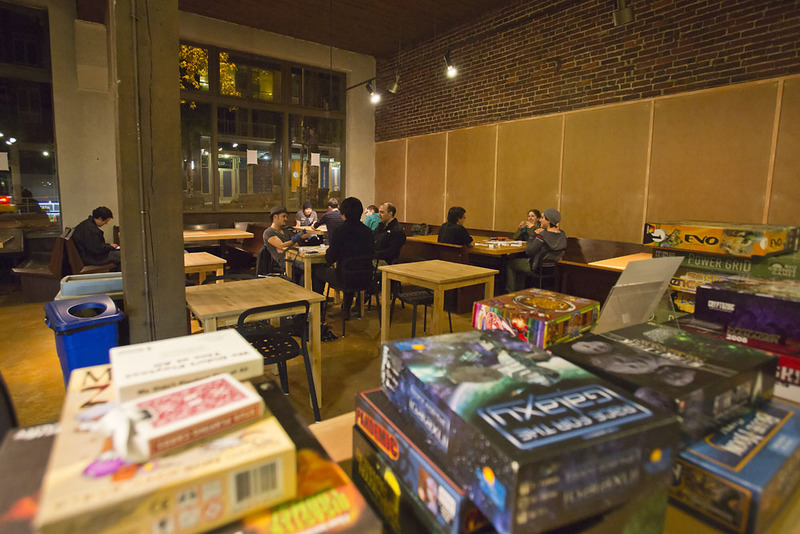 There’s been something missing in the games played at E Pine’s new hangout the Raygun Lounge since it opened in the old Travelers space earlier this fall. And, nope, the gamers haven’t had to handdraw a missing Candy Land peanut brittle card or make their own W tile after the dog got into the Scrabble bag. Starting Saturday, December 1st, the Gamma Ray Games guys and gals will be able to really put the lounge in Raygun Lounge. 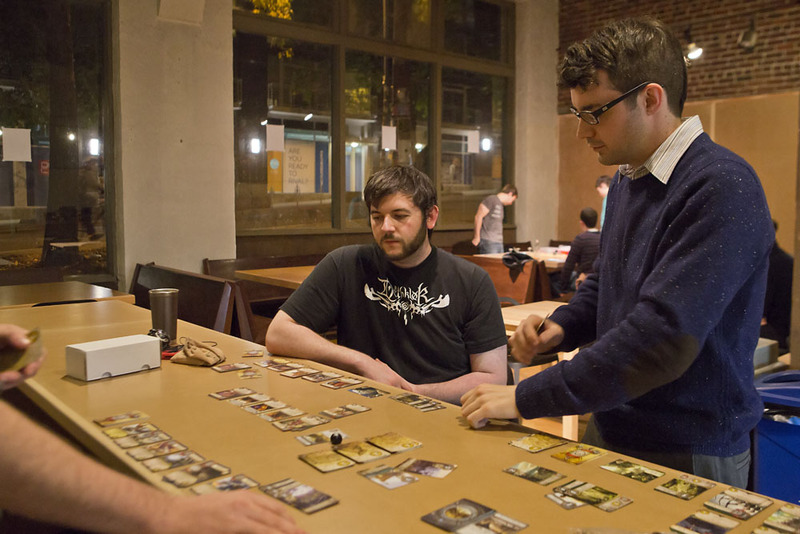 We told you about the new place to play games, hang out and eat and drink replacing the much-loved-but-moving-on Travelers earlier this year. 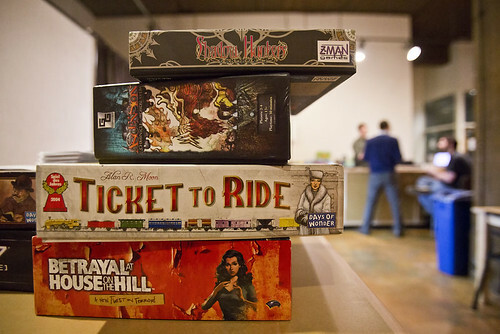 It’s a spin-out of Logan’s Gamma Ray Games shop on E Pike which celebrated its third year in business this summer. 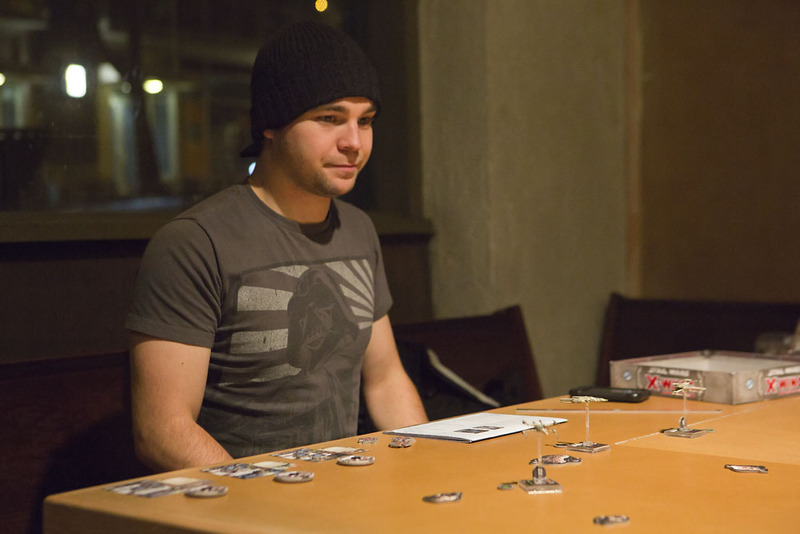 The success and stability of the shop inspired Logan to slap down a bonus card and give the gaming cafe model a spin. In addition to the beer and wine, the lounge features samosas and naan sandwiches — you can hop next door to the new Black Coffee Co-op for Travelers chai — as well as High 5 pies savory and sweet. Logan said the hope is to provide the best locally sourced handheld chow available. If you’re thinking about checking the tabletop gaming scene out, Logan said Tuesday night’s range of “classic” new board games might appeal to beginners but, really, any night of the week should be fine. There’s only one requirement: punctuality. The Gamma Ray gamemaster suggests 6:30 PM as “prime time” for getting involved. 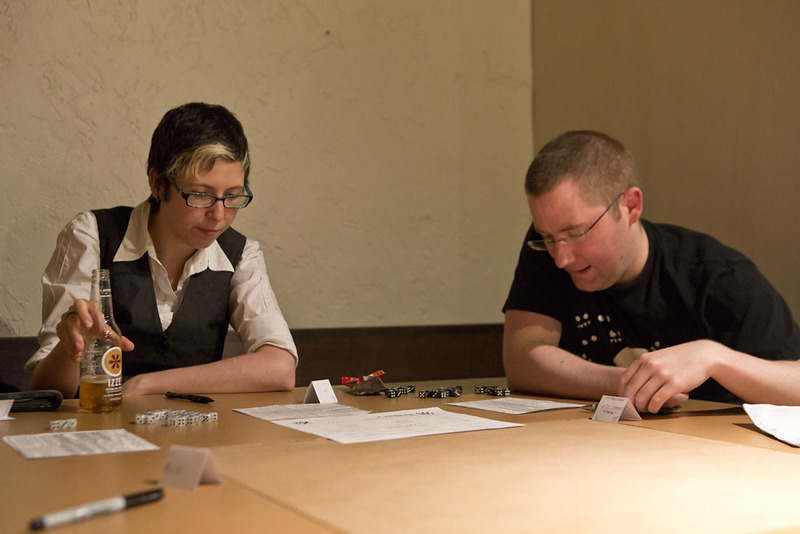 You also might want to check out the first of what will be monthly Slog game nights with staff and fans of The Stranger next Friday, December 6th. Logan said the plan had also been to do a “ladies night” that night but he’s since decided to stagger things following December. “Turns out that Slog and ladies don’t get along well together,” Logan said. Hear that, players? Game over. You can find out more on the Raygun Lounge Facebook page. Another December 1st booze debut will be Speckled & Drake in the former Living Room space on E Olive Way at Melrose. We told you about JD Martinsen’s Seattle > Brooklyn > Seattle tavern odyssey here. You’ll find more games next door, of course, at the newly opened John John’s Gameroom. S&D is in the old Living Room; John John’s is at old Faire. The store is actually also on E Pine. Not E Pike. Posted for those that forgo Yelp, in favor of CHS, to get around town. In case it’s not clear in the article, the ladies night is still on for this Friday. We are switching nights not because we don’t “get along” but because it sounds like we are going to overflow the Lounge if we don’t.